The production process will be different in each of our products. From the fields stock nurseries get the rootstocks from grape plant grafted and rootstocks from not grafted plants. The latest are used for the preparation of border. These are planted directly in the field, so that subsequently develop their roots and they could be started and serve the customer, these being subsequently grafted in the field by the customer. buds obtained from vine shoots base. These buds can be customized, is the winemaker who decides that strains are obtained and prepared as the customer’s needs. The grafting is performed with a suitable pneumatic sealing machine for protecting the pua-binding pattern particularly paraffins to protect the plant from any external agent that could damage it. This precision in sealing and wax graft is key to quality plants, such as plants Viveros Vila offers its customers. Subsequently, the plants were stored in heat chambers with controlled humidity level and circulating air required and strictly controlled. Thus a perfect aground of pua-binding pattern is ensured. Once reaching the optimum ripeness, they are removed from the chambers and remove the roots heat arising during the stranding (despalomado). They are subjected to a treatment with hormones to facilitate rooting and parafinan again so be ready for planting. This graft is planted in the field to develop their roots and necessary force. Once enough time has passed and obtained optimum ripeness, it is started and selected field. 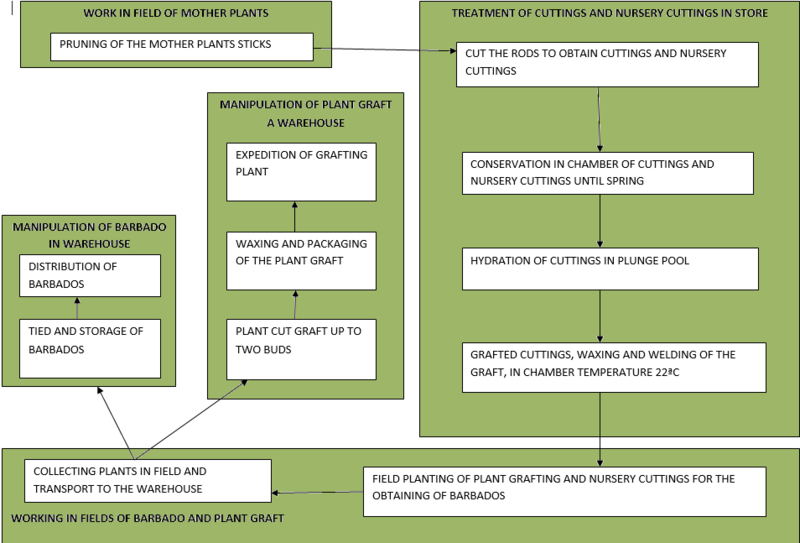 Before being served the plant are selected and again the union protects pua-grafting wax pattern. In this way the plant is ready to be served to each customer.